Enzymatic modulation as a resource to optimize intra radicular bonding. Correlation between self-perception of need for orthodontic treatment in pregnant women and the perception of oral health professionals. Bone healing of dental alveoli in smokers with platelet-rich plasma obtained using single or double centrifugation. 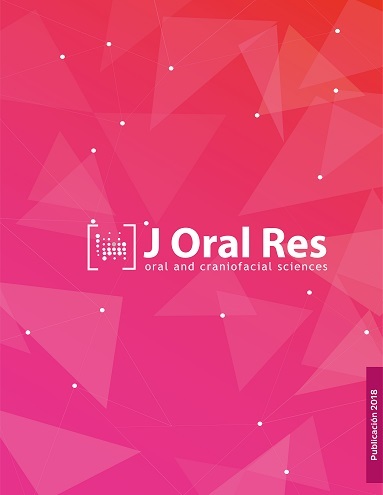 Knowledge, attitudes, practices and oral health status in adolescents of the city of Córdoba, Argentina. Comparison of Ostene® and Bone wax on Bone Healing: A Comparative experimental study in rabbits. Oral Pemphigus treated with minipulse therapy. Bilateral hyperplasia of the coronoid process. Clinical case report with unusual presentation and literary review. Diagnosis, treatment planning and root canal of a lower first premolar with two canals using 3D computed tomography: Case Report.